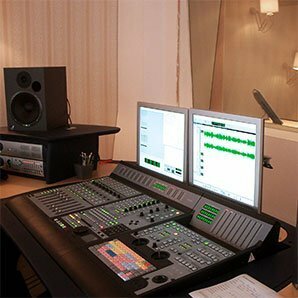 Inter Voice Over heeft het grootste Bosnische stemmenbestand van Nederland. Bij ons vind je de Bosnische voice over voor je productie. Bosnian Listeni/ˈbɒzniən/ (Bosnian: bosanski / босански [bɔ̌sanskiː]) is the standardized variety of Serbo-Croatian used by Bosniaks.Bosnian is one of the three official languages of Bosnia and Herzegovina,along with Croatian and Serbian, and also an officially recognized minority or regional language in Serbia, Montenegro, and the Republic of Kosovo. Bosnian uses both Latin and Cyrillic alphabet.It is notable among the varieties of Serbo-Croatian for a number of Arabic, Ottoman Turkish and Persian loanwords, largely due to the language’s interaction with those cultures through Islamic ties. Bosnian is based on the most widespread dialect of Serbo-Croatian, Shtokavian, more specifically on Eastern Herzegovinian, which is also the basis of Croatian, Serbian, and Montenegrin. Until the dissolution of SFR Yugoslavia, they were treated as a unitary Serbo-Croatian language, and that term is still used in English to subsume the common base (vocabulary, grammar and syntax) of what are today officially four national standards, although this term is controversial for native speakers, and paraphrases such as “Serbo-Croat-Bosnian” (SCB) or “Bosnian-Croatian-Serbian” (BCS) are therefore sometimes used instead, especially in diplomatic circles.